Italy is known for the two Fs that make me shiver with excitement and anticipation. The first F would be FOOD! Mamma mia, che buono (in American slang, that’s OMG! So delish! Or in Tagalog, Grabe! Ang sarap!) But this is not the topic of this maiden article of mine. Let’s leave that for another time. Style before comfort is the motto in Italia. I lived there for close to five years and I, too, have learned to heed that motto. I learned to walk on tiptoes to make sure my stilettos did not get stuck between the cracks on the streets. My feet hurt every day, but it was so worth it! Now, before you shudder in fear that shopping in Italia will break your bank account, read through this article for my tips for getting the best deals in European fashion. 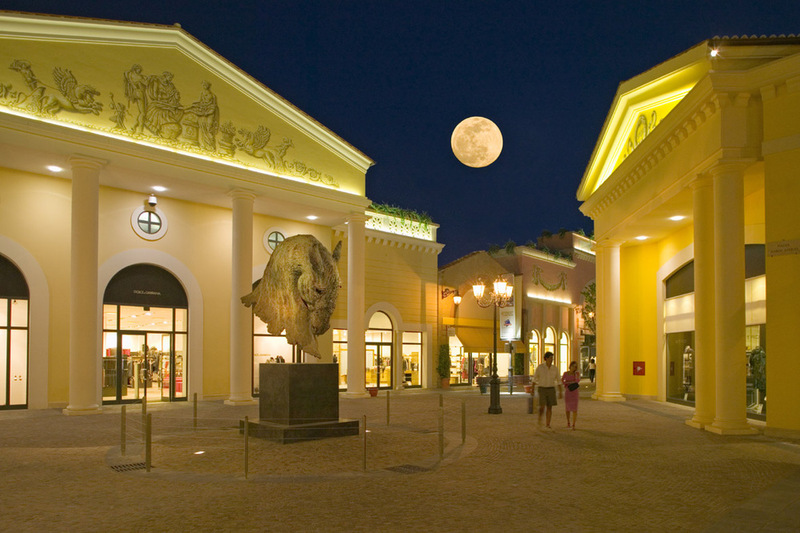 Like the United States, Italy has many outlet-shopping areas. They are not as big or as grand as those found in American cities, but they are definitely on a par if not more exciting as far as I am concerned. Please note that on top of the prices found in the outlet stores, one is entitled to a VAT refund for purchases above E120.00. So make sure you bring your passports with you when you shop. Most places will take a photocopy of your passport, too. Brands: Frattelli Rossetti, Bruno Magli, Boggi, Diesel, Camper, Bose, Salvatore Ferragamo, Roberto Cavalla, Lindt Chocolates, La Perla, Frette, and many more. Shuttle Bus: leaves daily from two locations: Termini (Central Train Station on Via Marsala) and from Via Leone IV (near the Vatican). Car: It is about 25 kms from the center of Rome and about a 30-minute drive. My Take: The shuttle bus is the most convenient way to get there. It leaves hourly to and from the outlet area (depending on the season of the year). Give yourself an entire day to shop. Heaven on Earth! Take a local train from the Santa Maria Novella station (Firenze) to Montevarchi. It is a 30-minute ride. As soon as you get off the train in Montevarchi, take one of the many taxicabs and just tell the driver “Prada,” and he will know where you want to go. There is really nothing else in this small town except that. You need to take a number to enter the store and make sure to hold on to that ticket. When you see something you like, just give the item to the sales people standing around and they will ask for your number. You will meet your stash again when you are ready to pay at the counter. Make sure you immediately pick up what you like and just leave it at the counter because sometimes they only have a few pieces of each item and things go very fast. Don’t worry because you can always change your mind when you get to the counter to pay. This is the cheapest way you will be able to get PRADA goods, so do not hesitate to buy ten bags and ten pairs of shoes. Live a little! Shop! This is one of my happiest places on Earth. I hope it brings you the same joy that it has brought me. Brands: Gucci, Lanvin, Marni, Emilio Pucci, Sergio Rossi, Tod’s, Yves Saint Laurent, Balenciaga, Bottega Veneta, Loro Piana, Dior, and many more. Take a local train from Santa Maria Novella to Rignano sull’Arno. It is a 25-minute ride. As soon as you get off the train, take one of the many taxicabs and just say The Mall. It will be a five-minute cab ride. You can also take a car–it is a 30-minute drive from the center of Firenze going towards Roma. If Space is one of the happiest places on Earth for me, The Mall is beyond happiest. I used to go to The Mall on days when I was sad or lonely and the experience always boosted by happy hormones. The deals that you get in the stores here are amazing! I once bought a Marni overcoat, retail price E4,000, for E550.00. All you really need is a good sense of what you want and to spot things immediately. I have mastered the art of shopping. The most popular stores in The Mall are Gucci and Tod’s. During peak season there may be lines to get in, so patience is a must. It is so worth the wait. TIP: If you plan to go to Space and The Mall on the same day, remember that on the train, Rignano sull’Arno is the stop before Montevarchi. This is good information to remember. Note also that it is possible to have the cab driver from The Mall take you all the way to Space and vice versa. It will cost more than the train, but if you are carrying bags and bags of your loot, you may want to consider this option. Brands: Similar to Castel Romano as it is owned by the same group. The difference is that this one has Prada. Shuttle bus: Service leaves from Santa Maria Novella (Firenze train station). Car: It is t a 30-minute drive going towards Bologna. Brands: Similar to Castel Romano and Barberino (owned by the same group). 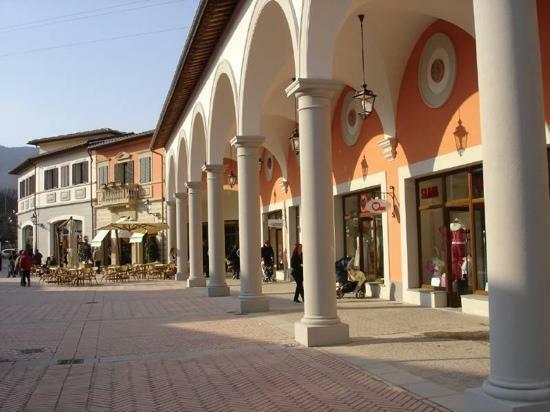 However, note that Serravalle has more stores than Barberino and Castel Romano. Also, this one has Bulgari, Brioni, Patrizia Pepe and many others not found in Castel Romano and Barberino. Shuttle bus: Leaves from Foro Bonaparte near Piazza Castello. I once visited this outlet with a friend, and he bought a Bulgari watch for his wife at 50 percent off. He was a hero as far as his wife was concerned. Be on the lookout out for very good deals. 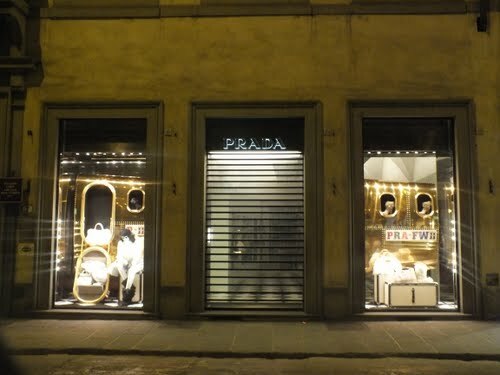 Brands: This outlet has over 130 stores which includes Prada, Gucci, Bally, Ferragamo, Tod’s, YSL, Jill Sander, Fendi, Hugo Boss, and many more. This place is actually over the border in Switzerland, but it is only 1.5 hours away from Milano and definitely worth the drive. You can take a car and drive to Mendriso. It is a very scenic drive. There is also a bus that goes from Milano to this outlet. Check with your hotel concierge for arrangements. Make sure you have your passport with you as the guards at the border sometimes do random checks. Switzerland is now part of the Schengen Visa so for those who need visas, there is nothing to worry about. Since Foxtown is in Switzerland, the currency is CHD or Swiss Francs. The rate of VAT refund is also different. There are many other shopping outlets in Italia to discover. However, the five outlets mentioned above are the best it has to offer. I do hope that this must-do shopping itinerary brings all you readers the same joy that writing about it has brought me. Happy shopping fellow shopaholics! And remember: quality over quantity! Guia Y. Santos is a lawyer and presently works in a bank in Manila. She lived and worked in Italy for 5 years. She is a "shopaholic" and in the process discovered the many ways to get value for money for an otherwise very expensive hobby. She now shares her secrets and tips with us.